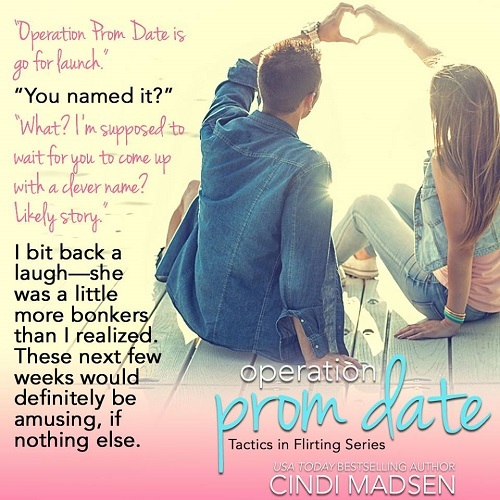 Operation Prom Date (Tactics in Flirting #1) by Cindi Madsen was such a delightful lighthearted young adult book. Kate, the main character, was likable, fun, and very relatable. I especially enjoyed all the pop culture references! Fairly predictable storyline, but still an enjoyable easy, quick read. I can’t wait to see what comes next in the Tactics in Flirting series and I will definitely be looking into what other books Madsen has to offer. Kate has been crushing on the hot quarterback, Mick, since her sophomore year in high school and with it being her last semester of senior year, there's only so much time left to snag him as her prom date. However, due to the fact that she seems to be inept at flirting, she's resorted to enlisting help from Cooper, who used to be her friend before he turned popular practically overnight. Cooper is in a bind since his rowing partner just broke his wrist and when he remembers that Kate was pretty good at rowing, they decide to strike a deal. He'll help Kate snag Mick's attention if she takes his rowing partner's spot to help him train. The only problem is that he had no idea how much he was gonna enjoy spending time with Kate. 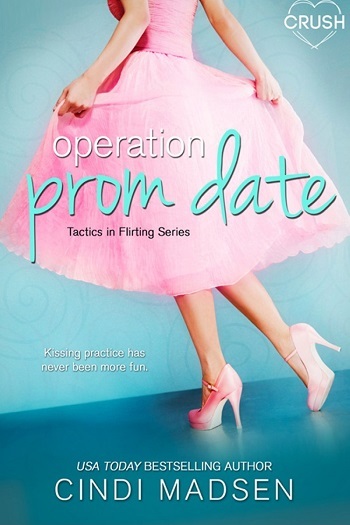 Overall, I think Operation Prom Date was a solid four star read and I am sure readers will easily fall in love with this charming story. If you enjoy reading young adult romance books, then this book will easily win you over and have you wanting to ship this couple too! 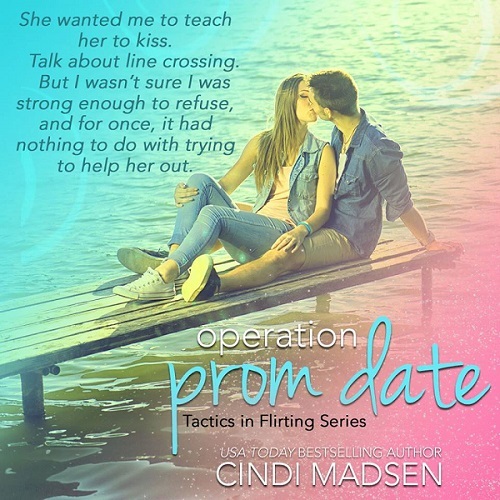 Reviewers on the Wicked Reads Review Team were provided a free copy of Operation Prom Date (Tactics in Flirting #1) by Cindi Madsen to read and review.